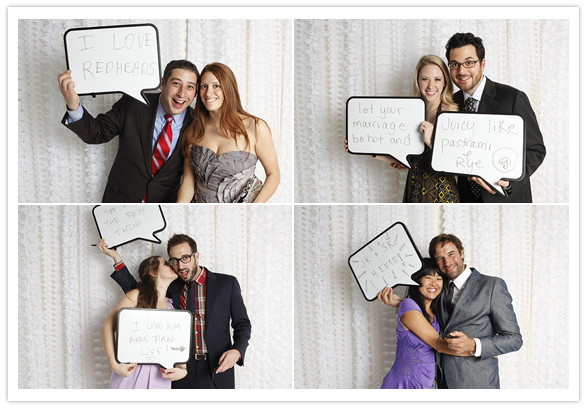 Love this idea for photos/advice from guests on 100layercake - how perfect! We rented a photo booth for our wedding, you know - the ones that spit out series of four photos. We requested that everyone at the reception participated because it became our guest book. We love it! Adding messages might have been fun.